Having just read Diane Chamberlain’s upcoming book “The Dream Daughter“, I have been reminiscing about her previous novels as well. Some I read years ago and though I know I enjoyed them, I can’t remember a lot from the story. But there are a few that really stick out in my mind. “The Secret Life of Cee Cee Wilkes” is one of them. It was over 500 pages long, but it didn’t feel long to me at all. A very emotional and thought-provoking read with an amazing cast of characters. This novel was re-released in 2009 as “The Lost Daughter“. When I came across it online, I was excited as I thought it was a book that I hadn’t read. However, after reading the description, I quickly realized it was this book just with a new cover and title. The ratings and opinions of this novel are varied, but it’s one that I enjoyed. 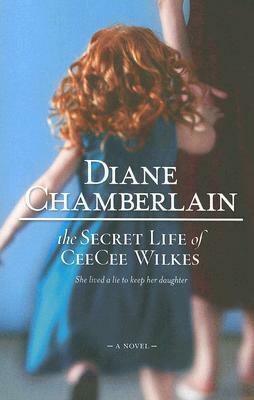 “The Secret Life of Cee Cee Wilkes” is definitely one of my favorite reads from Diane Chamberlain, and I hope to read it again soon. ❤ Loved it so much!!! I love Night Road! I wish I had a whole bunch that I hadn’t read already. Although I’ve probably forgotten some of the earlier ones. But I would start remembering as soon as I started reading I think. So many great books but like you said you might have to break it up with something funny in between. I’m glad you got the whole collection.